These six short, sharp stabs serve as an almost hurried introduction to an intriguing cast of characters, the kinda gumshoe guys who inhabit a hard-boiled urban environment straight out of the gold age of pulp fiction. Indeed, if you view The City from certain angles then it shares an awful lot of similarities with Frank Miller’s (Ba)Sin City – if not in geographical location then certainly in style and sensibility, and in the blood running into the gutters of its sleazy backstreets. Author Paul D Brazill adroitly acknowledges the core constraints of the genre. Hence within this collection you’ll encounter femmes extremely fatal, throwaway one-liners so sharp it’s a surprise the pages ain’t flayed, menacing gangland bosses with tribes of easily-identified henchmen, and tantalisingly obscure musical references. Just to flex some literary chops, there’s the odd Shakespearean reference, too. At the centre of most of these stories stalks the protagonist himself, an emotionally bruised and physically battered investigator who can be horribly vulnerable and hideously violent. Inevitably he comes with the trappings that the role demands – a friend on the force, a sometime partner to watch his back, a very bad girl indeed, and a safe haven in the smoked-filled bar of a scuzzy gin joint. Oh yeah, and Roman Dalton is a werewolf. Although that fact is far from being the driving force behind these stories. 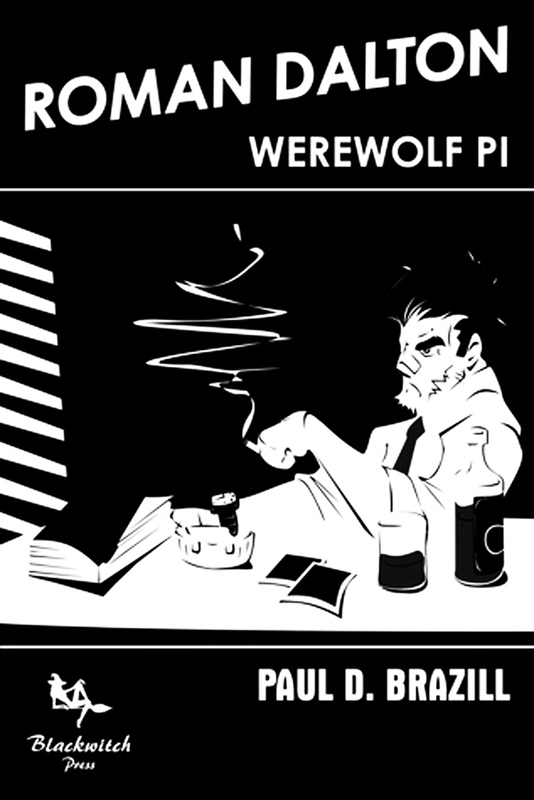 Dalton’s tendency to run amok at certain times of the month is played down in the mix – his lycanthropy is inevitably a major component of the narrative, sure, but these aren’t stories about being furry on the inside. The sinister brutalism of The City is expressed by all of its inhabitants, be they voodoo houngan, regular guy or a weirdly attractive witch. The problem with this anthology is that it’s all over far too fast. I’d only just about acclimatised to the author’s style and the surreal situation when each episode came howling to its conclusion. There’s plenty of black humour and carefully crafted writing to admire in this collection, but it left me feeling slightly unsettled and not entirely satisfied. Letting Roman Dalton loose for longer would, I think, make for more rewarding reading. Thanks very much. Glad you enjoyed Dalton’s world.